Because everyone needs a jazzy bathroom. We think you will. Why? It's bright and modern. But with cool features like artwork that make it unique. Plus it's right in the city-centre. And has bonus features like a machine dryer and dishwasher. You're going to appreciate those slightly surreal tiles when you're brushing your teeth. A kind of vintage diner feel - we totally dig it. Who wants a boring bathroom? This is an ideal home for young professionals looking to be right in the heart of Brussels. To really get a taste for the city. The bedroom has a ton of storage. Literally. Loads of it. If you want to really experience authentic Brussels, where better to live than the city-centre? A washing machine? Yes please. Laundrettes are such a bore. Professionals only! Check back when you have a job. This is a bright and comfy 3rd-floor, 2-bedroom apartment on Mussenstraat in Brussels. 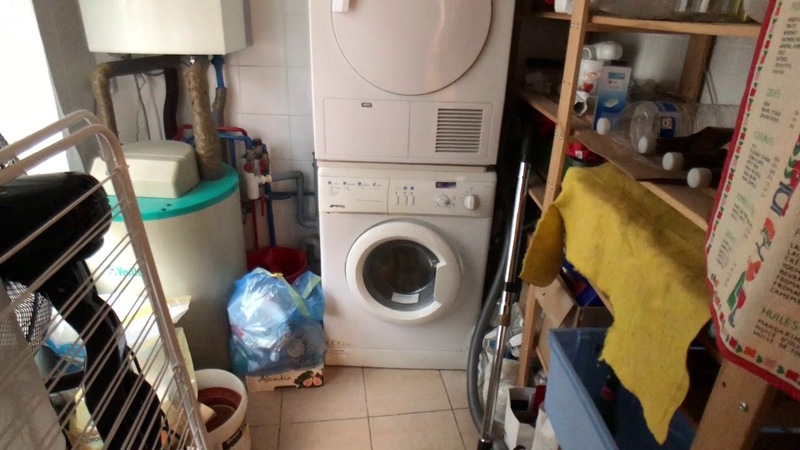 It's modern but with a quirky side and well-equipped with both a dryer and a dishwasher. This is the perfect home for professionals looking to be surrounded by the best Brussels has to offer. Right in the city-centre, you'll never get bored. Feeling super organised with all your belongings tidied away - lots of cupboards is a plus. Living right in the heart of the this unique city - so much to see, so little time. Looking freshly dressed everyday - laundry is so easy with a washing machine available. There's no parking with the property. But given the location and proximity to public transport, you're unlikely to need a car. If you're worried about moving to a new city by yourself, don't panic! You'll be sharing the property with the landlord and a friendly face in a new place is a real bonus.